"My heart bleeds. But revenge is in the creator's hands." 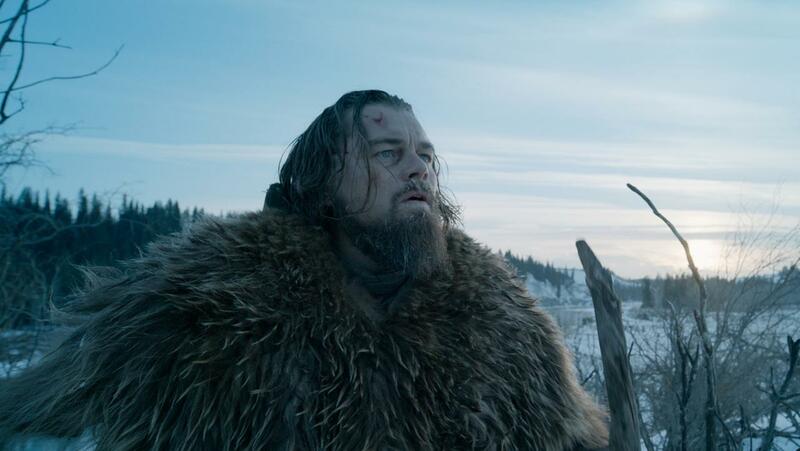 Apologies to the soon to be Oscar winning performance from Leonardo DiCaprio, but the most important character in The Revenant is not a person at all. It's the setting. The bleak, harsh, devastatingly cold winter that surrounds everything taking place. No individual carries this film. Nature does. The opening sequence of the film is magnificent and gets your pule racing before you can even get comfortable in your seat. As a single long take, it occurred to me just how challenging of a scene this is to perfectly execute. Obviously with any long take the choreography and actors execution of it must be precisely on point, but if you add in the fact that the brilliant cinematographer Emmanuel Lubezki only wanted to utilize natural light throughout the entire film, nailing it on the first time wasn't just preferred, it was a necessity. I have no idea how many takes or hours or days it took to get it right. All I know is the final product is so damn mesmerizing, I knew instantly I was in for something special. On a performance level is where I must rain on the parade of many. 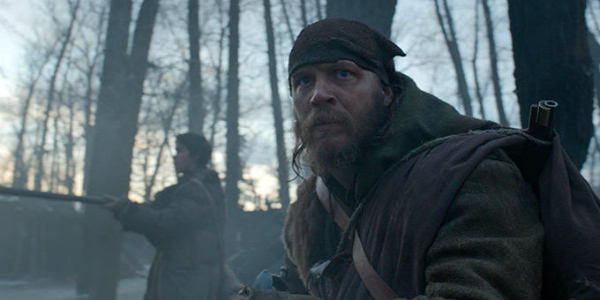 It isn't that there are any issues with the acting in The Revenant. I would actually argue that what DiCaprio and Hardy and so many others across the ensemble bring to the table is exactly what the material needed, and I wouldn't change a thing. I just don't see Oscar worthy work here. I won't decry the moment we all know is coming, when Leo walks on stage and accepts that trophy because frankly I like the guy and have admired his career for some time now. I'm just surprised that actor who turned in far better, more nuanced performances in films like The Aviator, Catch Me if You Can, The Departed and The Wolf of Wall Street is finally getting the recognition here. I could be wrong and this is obviously only based on my personal opinion, but I have to wonder if the difficult nature of filming is a major factor as to why DiCaprio is going to win an Oscar. It seems like the narrative surrounding his award campaign is about what he went through, his commitment to the role, the conditions while shooting and so on. I hear very little about what he actually achieved in the frame, and despite being the "lead" I found him to be playing second fiddle throughout to a much more complicated and interesting turn from Tom Hardy. 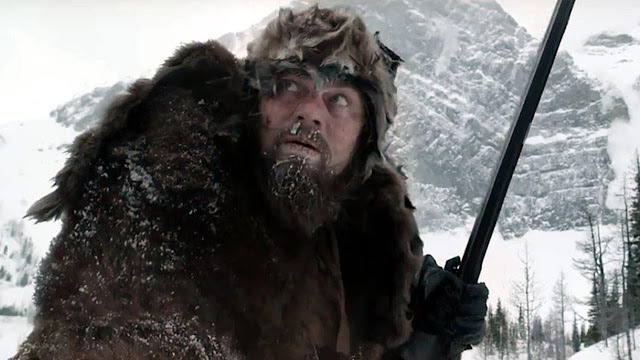 Hugh Glass, the character played by DiCaprio, is mauled by a bear early in the film and then spends much of The Revenant recovering from his wounds, barely speaking except for the occasional incomprehensible line. It's an important role and one he handles wonderfully, and the emotion he displays with just his eyes is moving and vital to the nature of what we are witnessing. It just simply doesn't match the hype associated with naming it the finest lead performance of the year. As for the film as a whole, where as I refuted the claims that Birdman, the last film from director Alejandro Gonzalez Inarritu, was all style and no substance, I find it harder to stand on that same soapbox here. I hate even typing those words, all style and no substance, because I find so much substance in the capabilities of telling a story with stylish cinema, but with The Revenant there really wasn't a ton for me to grab onto beyond the astonishing craft. It feels like a work that is desperate to mean something so deep and profound that a person would have to never stop digging to find it all, but frankly I don't have any urge to dig. Even some intrigue regarding the ambiguous ending has faded about as quickly as it did from the screen. A technical masterpiece that is stunningly beautiful to watch unfold but The Revenant doesn't linger with me as I would have hoped. Which is fine. No, it's better than fine, it's pretty damn great for what it is, but the picture falls short of being what it ultimately strives to achieve: more. Glad to hear we are on the same page Cody, including the love for wilderness and nature. I was raised in a family that considered vacations to be trips into the deep woods rather than to beaches or cities. Going to check out your review now, thanks for the link sir!